I ordered this book via Amazon since 2012… it keeps getting delayed. I actually already paid. What should I do now? This is actually the official book? Is that Amazon one a scam? Hi Jimmy, the book has been indeed for pre-sale since last year. The reason for the delay notifications has more to do with the arbitrary release date Amazon was estimating than anything else. I believed you paid but the money was most likely not charged yet (that’s how pre-sale tends to work). That said, in my “Author Central” page it says there are 2 books that were sold. So maybe in some cases the pre-sale was indeed charged. Either way it’s no scam. The book is ready, and should arrive at Amazon warehouse shortly. And thanks for the early support to the book. I found ‘Mastering Blender Game Engine’ on bookdepository.co.uk (http://www.bookdepository.co.uk/Mastering-Blender-Game-Engine-Mike-Pan/9781435456624?b=-3&t=-26#Bibliographicdata-26) as well as ‘Game Development with Blender’ on amazon (http://www.amazon.com/Game-Development-Blender-Dalai-Felinto/dp/1435456629/ref=sr_1_3?ie=UTF8&qid=1372314833&sr=8-3&keywords=mastering+blender+game). Just wondering – is this the same book? Hi Matt, yes it is the same book. What happened is that we changed the book title middle way into production and it takes quite some time for the online stores to process that. Well, to be sincere the note from page 127 is not enough to me. On page 395 you just talk about loading the game files separated from Blenderplayer. I understand I can to use this feature to commercial use, when I don’t want to distribute my work under GPL License… but how to protect my blend files? I don’t wanna my .blend file structure available or editable. The book don’t have concrete information and samples about these topics. I preordered the book and it was delivered a few days ago.Now that I started reading it,in Chapter 2 there is a line “On the DVD,you will find…” . But I received no DVD. Is there a DVD or we download it from somewhere? Please answer me so I can contact amazon,in case there is a DVD that I did not receive. I just updated the post with the companion files download link (it’s also in the page xiv of the book (the last one before the chapter 1). The reason the book mention “DVD” files a few times is due to the changes during the book production. We decided to drop the physical medium over download files to help buyers from outside the US (in most countries books are not taxable, while DVDs are). Sorry about the delay, I was off on vacation. Hi Shawn, the link should be working (though you need to navigate into the Game section and select the book name). I just updated this post with the direct link to the download files. If you still have troubles please let me know. i don’t have find any ebook version so I have bought your book as paperback. Is there an ebook version that i can find ? Hi Mariano. The ebook availability depends on your country. In the US you can find an ebook in Amazon, Barnes & Nobles and Apple iBook store. Amazon and Barnes & Nobles don’t allow me to buy a copy of ebook, here from Italy, can i buy a copy directly from you? I don’t even have an ebook copy myself. So unfortunately, for now at least, you will need to get a physical copy of the book. I’m sorry about that, but it’s something beyond the authors’ reach. I am currently working on the Game Logic section of the book. I have gotten the programing of the sharks movement completed, but when I play it a standalone player, the animation doesn’t play out. And when I set it to Loop Stop, nothing moves at all and he just sits there. If you could help me with this problem I would be so grateful. I enjoy this type of work very much and want to learn as much as possible. 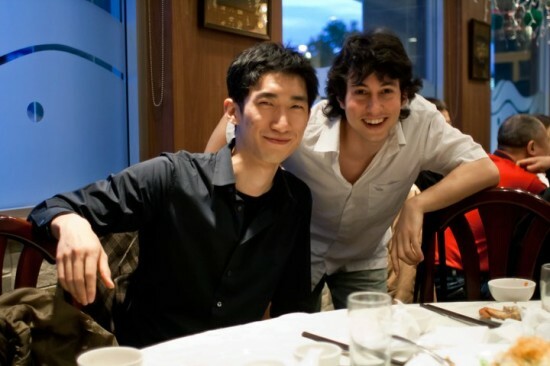 Hi Evan, does it work in the embed Game Engine? Or it fails in both the standalone and when you try it with ‘P’? If the result is different in the embed BGE and the Stand Alone you should report a bug in developer.blender.org so other developers and me can take a closer look at (with a sample file). 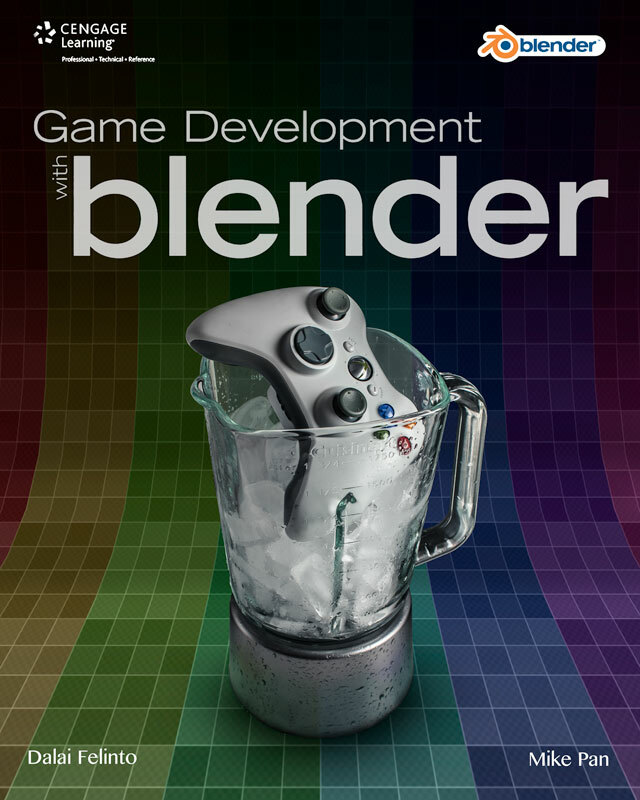 Tip make sure to first try with the same version of Blender we used while writing the book. And thanks for your words, I’m glad you are enjoying it. I can only see download files for Chapters 1 to 8 on the companion site, however. Are there any games available? Oi Ismael, deveria funcionar, tenta investigar o que aparece no seu console. Lembrando que os scripts da BGE não são pra serem rodados no editor de texto (com Alt+P), mas sim para serem chamados via Python Controllers. I cannot open the companion files when I try it says “your winzip membership has ended”. What should I do?